Our seven-year-old (almost eight) has been an avid reader for several years already and he devours books when he wants to. Lately though, he’s really only been interested in comics, with Peanuts being his favorite. He has read book after book after book of Peanuts comic strips that we’ve picked up from the library. I think it’s great that Kellan is enjoying the brilliant artistry of Charles M. Schulz, finding humor in it and enjoying these classic comic strips! However, I’d also like to see Kellan’s love for other types of fiction and non-fiction books continue to grow, as well as his ability to assess and talk about the stories he is reading. And so, in order to get him reading some other books in addition to the comics he loves, I’ve created and presented him with a challenge this holiday season. The challenge includes reading books and then discussing and journaling about them. And as a reward for accepting and completing the challenge, Kellan will receive money to share with others in need, just in time for Christmas! Last year, our children really enjoyed using the money they earned from chores to purchase needed items for other people around the world. They eagerly chose items from the Compassion International catalog to purchase for others in need. This was such a blessing for our family as we discussed what to purchase, considered various options, and then ultimately felt contentment and joy as we made a decision and released our money to help others. While the children can purchase needed items for others with their chore money again this year, we are offering them a way to earn additional money through this reading challenge. 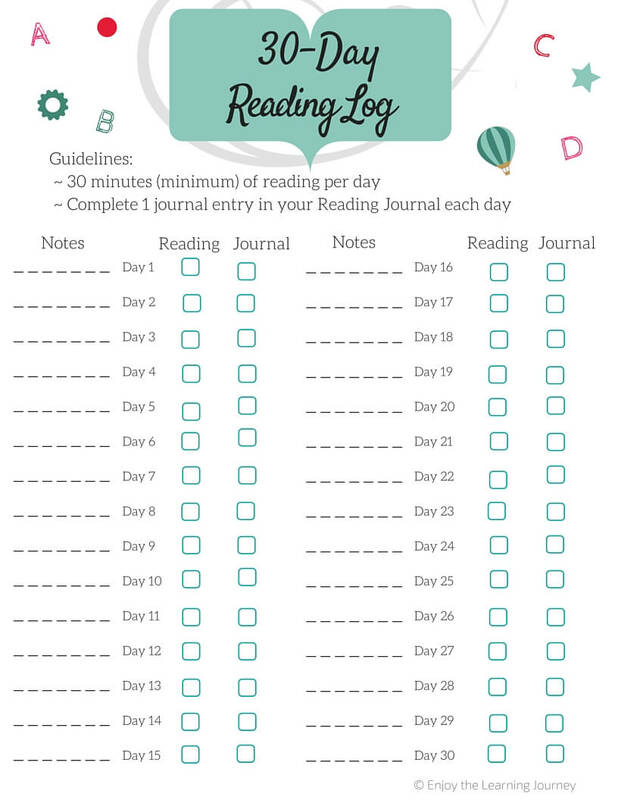 Since our girls are five-years-old and just beginning to read, their challenge is a bit different, with a small amount of reading each day and no journal entries. To prepare for the 30-Day Reading Challenge I created a checklist for Kellan so he can keep track of his reading and journal entries. Seeing those check marks as an indication that we’ve completed something is always a rewarding experience, for kids and adults alike, isn’t it?! Read at least 30 minutes per day 4-5 times per week. We are focusing on fiction books for this challenge, so we went to the library and Kellan picked out a bunch of books that interested him. We came back and put them in our handy dandy reading basket. Complete one Reading Journal entry after each reading session. We are using a reading journal with different options and ways for a child to assess the reading and share about it. Successful completion of 30 days of reading and journaling will result in a reward! At the end of 30 days of reading (it does not need to be consecutive days), Kellan will receive $25 towards the purchase of items, of his choice, for others in need. He may choose from either the Compassion International or Samaritan’s Purse catalog. You certainly don’t have to offer this reward and can choose anything you’d like that will motivate your child. It’s important to celebrate success, so when our children successfully complete the challenge, let’s be sure to celebrate their success with them! In addition to, or in place of another type of reward, you might consider giving your child a special pancake breakfast, an after-dinner sundae with all kinds of fun toppings, or a movie night at home with a movie of their choice. Kellan has been asking for a pancake breakfast so I think that’s what we’ll do when he completes the challenge! So what about your kids? 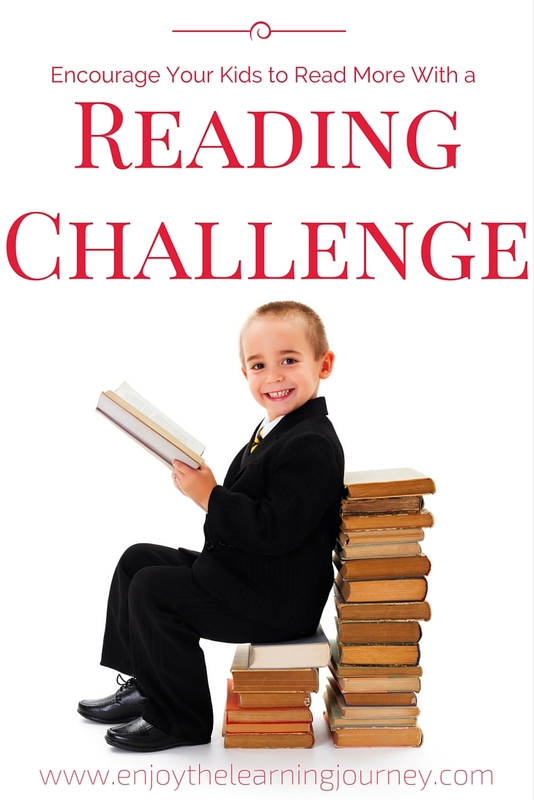 Is a 30-day reading challenge something that would motivate them to read more? You could adjust the challenge to fit their needs and interests, making it longer, shorter, and with pretty much any type of reward that will interest them. And because I’d love for your children to accept the challenge and experience the joy of reading, I am sharing the checklist with all my email subscribers for FREE. Not a subscriber yet? No problem! All you have to do is sign up below! Love this and can’t wait to use it with my daughter! I am so glad you can use it! 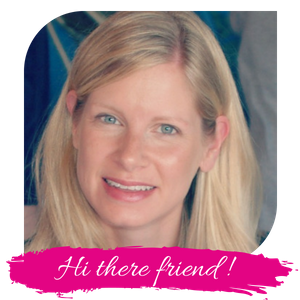 I just sent you an email with the printable since I am currently working on redoing my email sign up boxes. If you didn’t receive it please let me know.